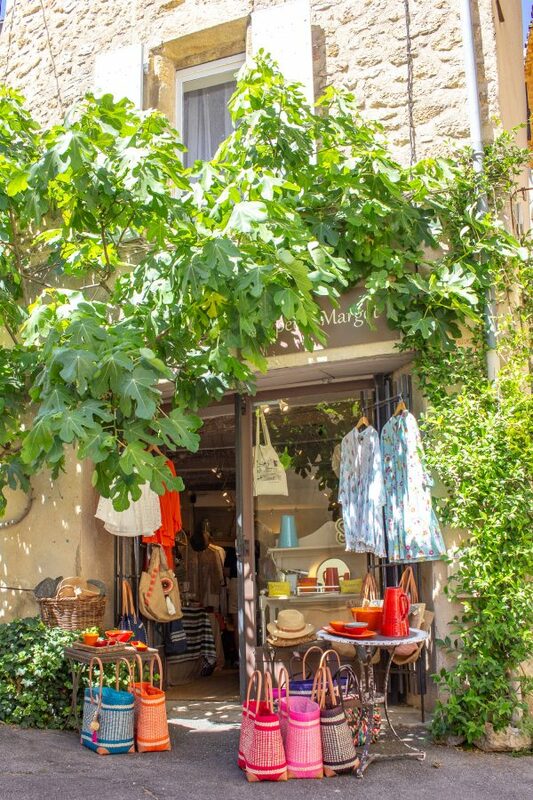 If you are heading to Provence, these are the can’t miss villages in Provence to visit. 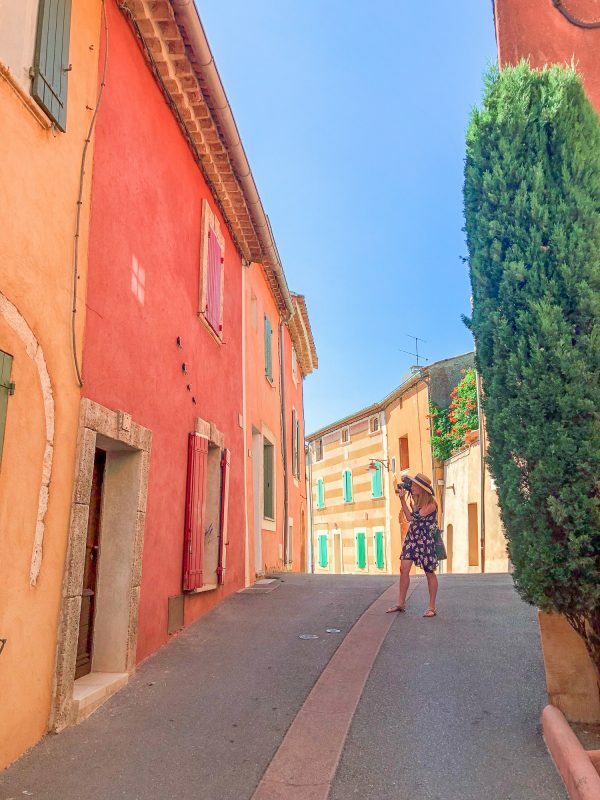 When my sister and I traveled to Provence to see the lavender, we also stopped at a handful of beautiful historic villages. 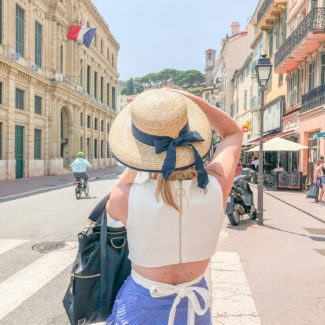 These towns are popular spots for day trips because they are small enough to see in just a couple of hours and they are close together. 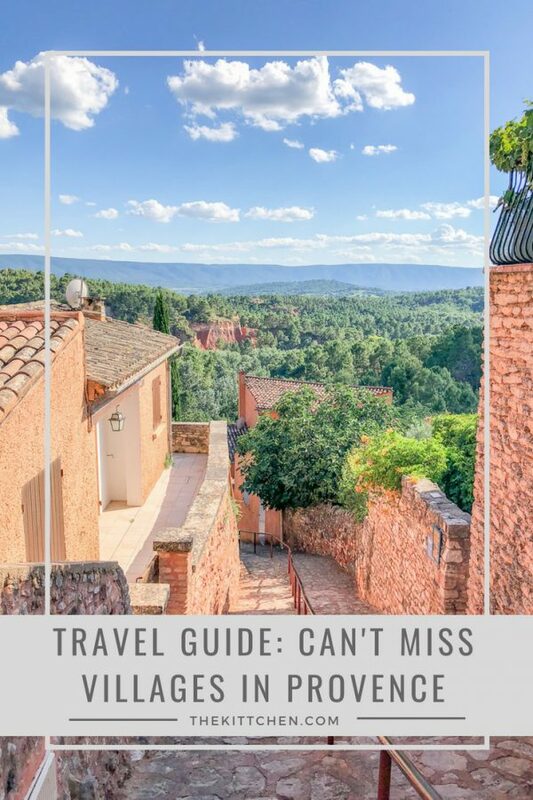 You can easily see up to three of these villages in one day. 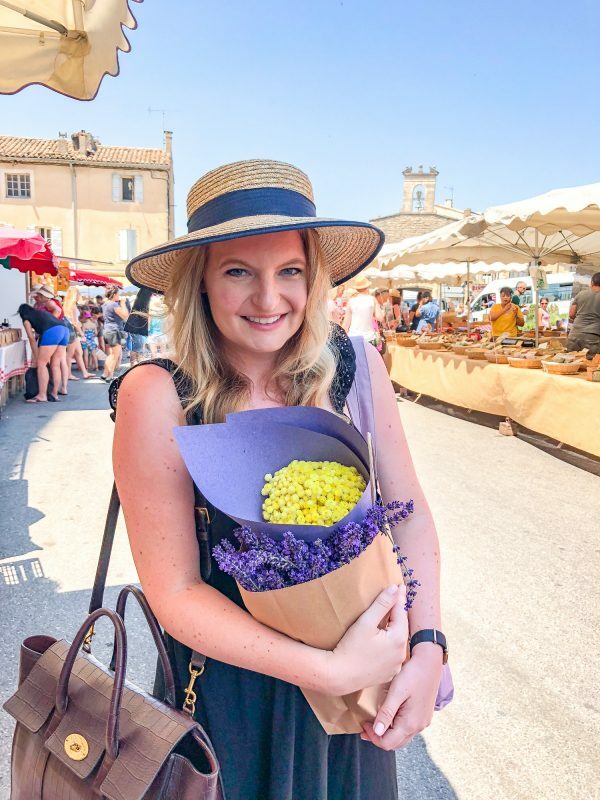 Many of these towns are near lavender fields, and we strung together visits to these towns with drives through the lavender fields. 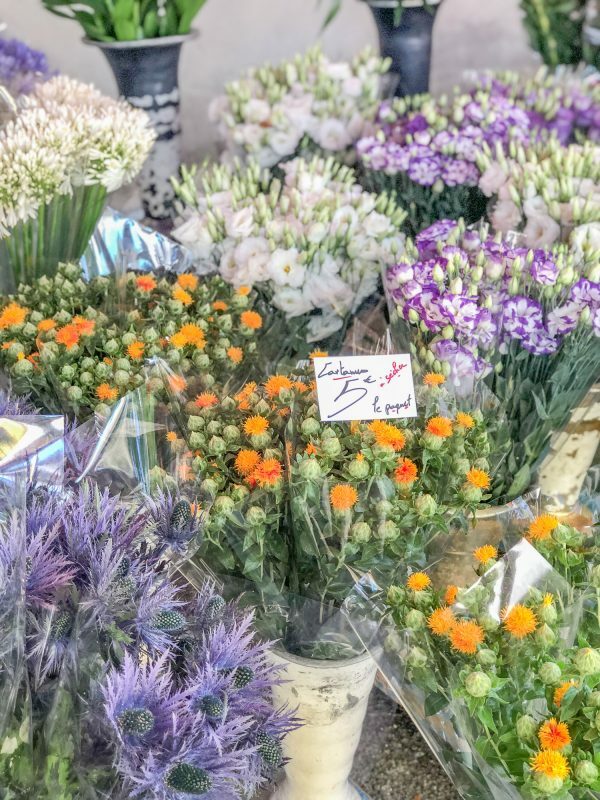 You can read more about seeing the lavender in this post. 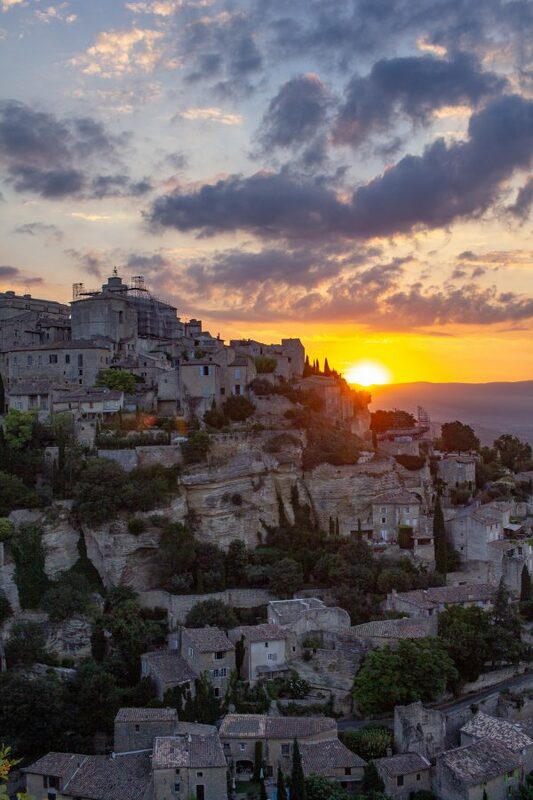 Gordes is a stunning hilltop village with views of the sprawling countryside below. The viewpoint just before the downtown is a popular place to watch the sunrise over the hill. Or, if you prefer to see the sunset, you can get a great view from some of the restaurants in town. 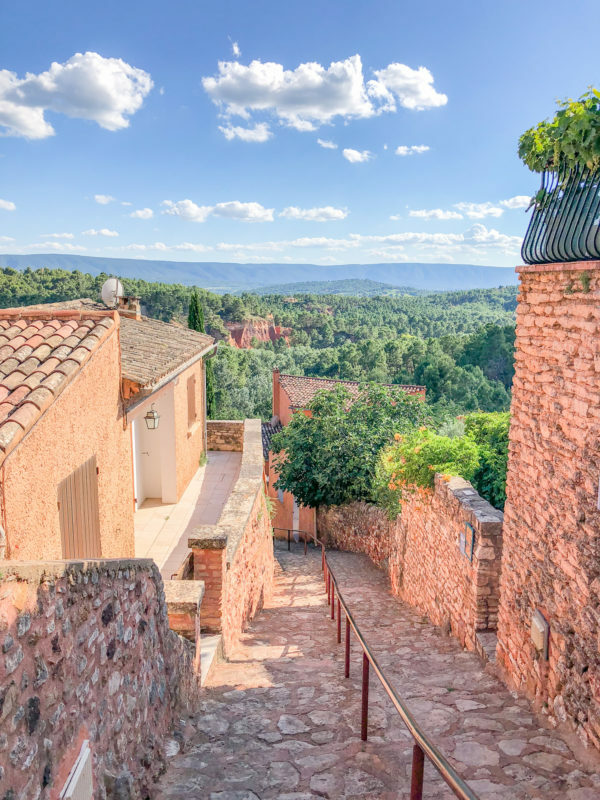 A 10th century castle stands in the center of the small town surrounded by restaurants and shops. There is an excellent hat shop in town that you might want to check out. 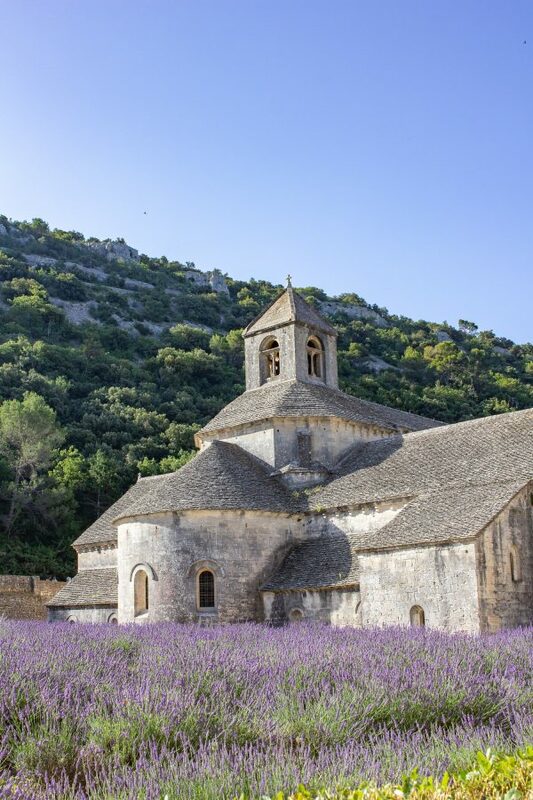 If you drive down the hill into the valley you will find Senanque Abbey, a Cistercian abbey famous for its field of lavender. 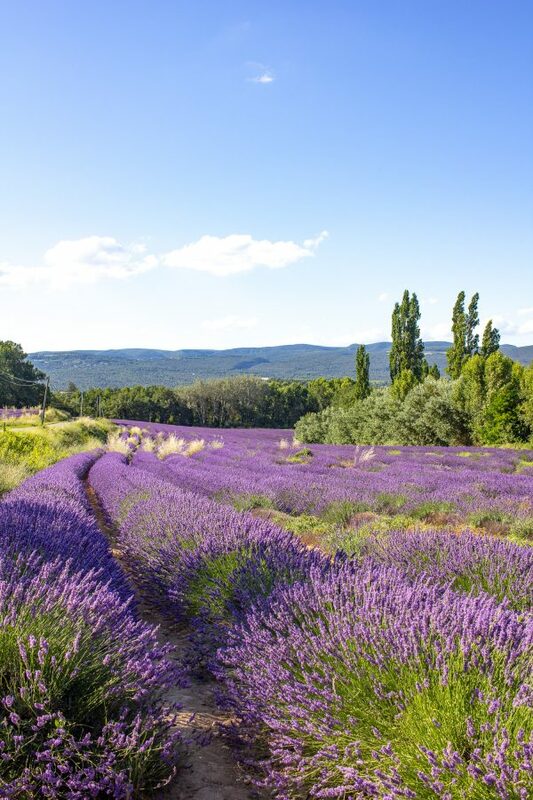 The lavender blooms in July and it is worth the quick drive down the hill to see it. 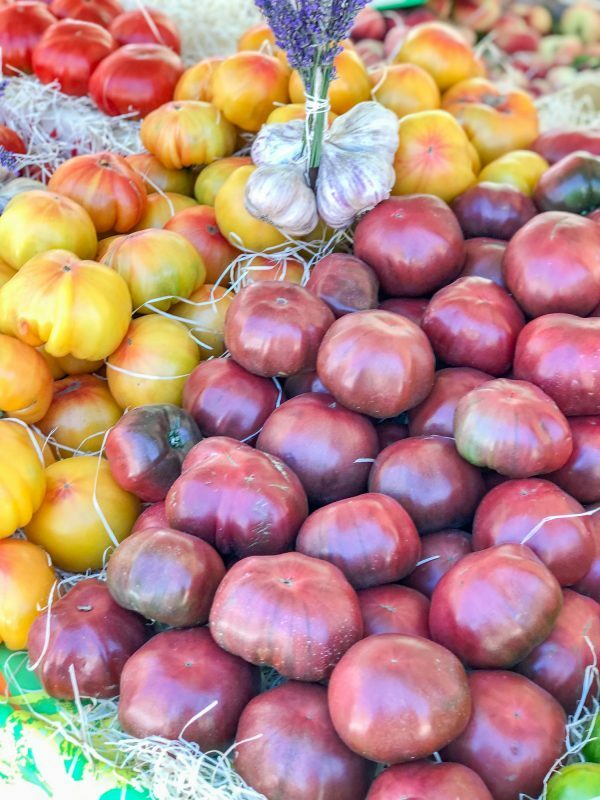 Gordes has an excellent farmer’s market on Tuesday mornings. The market features a mix of food and touristy items. 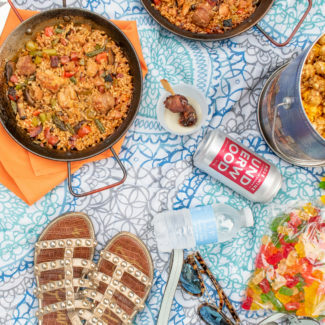 We picked up cheese, dried sausage, and berries and had a picnic lunch. 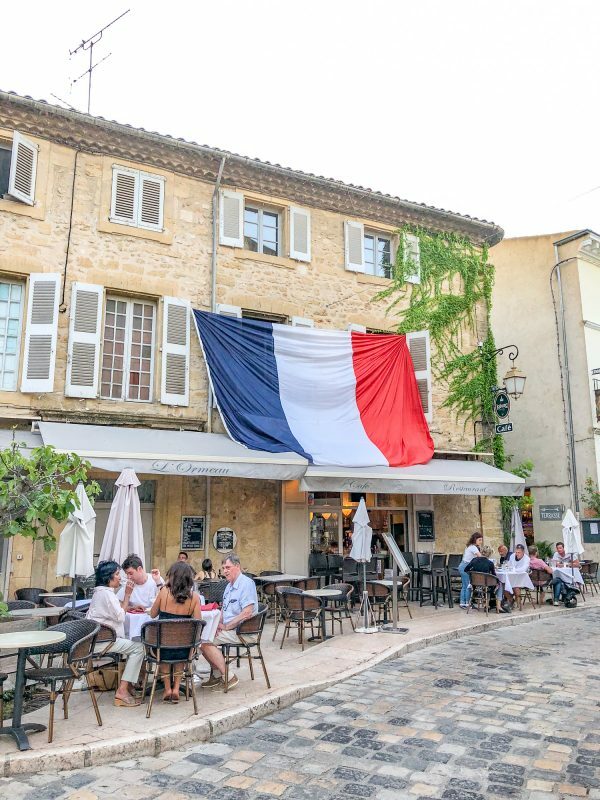 If you want to eat in Gordes, Kelly and I loved La Bastide de Pierre, an Italian restaurant owned by La Bastide de Gordes. 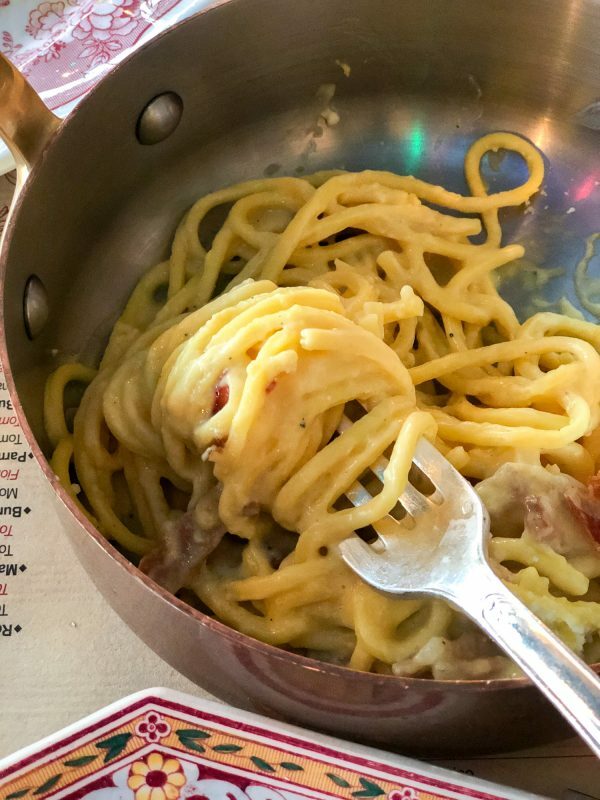 Sure, it might sound silly to eat Italian food in France, but the carbonara shouldn’t be missed. 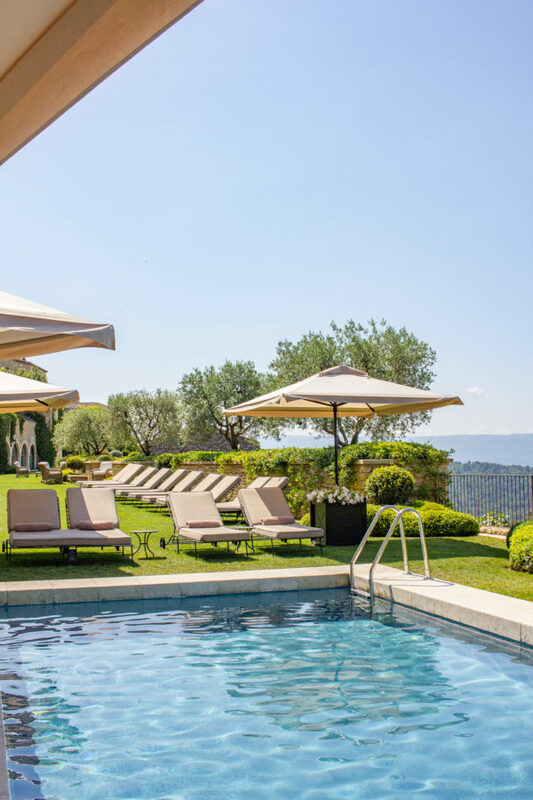 We stayed at La Bastide de Gordes, which was absolutely incredible. 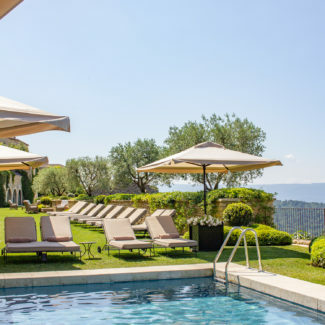 It is one of the best hotels we have ever experienced, plus Gordes was a nice home base for excursions to visit nearby villages. 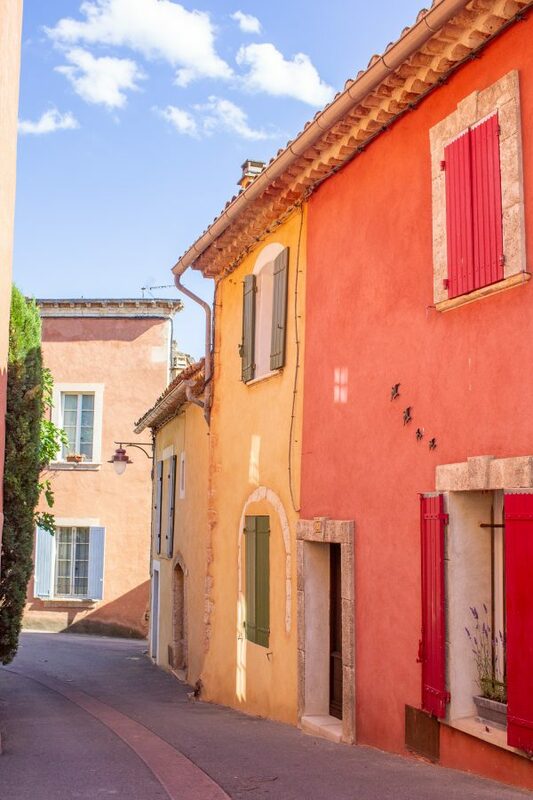 This town is famous for its ochre cliffs, and many of the buildings in the small hillside town are also ochre in color. These photos are hardly edited and I didn’t increase the contrast or saturation, these photos show how the village practically glows in the later afternoon. The town has a few shops and restaurants. We walked around, took photos, and then got ice creams. 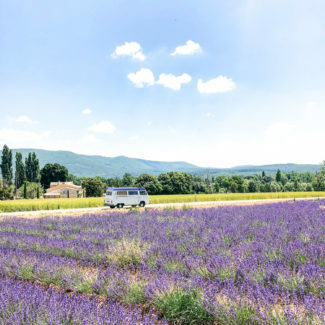 As we drove out of Roussillon, we stumbled upon one of the most beautiful lavender fields. 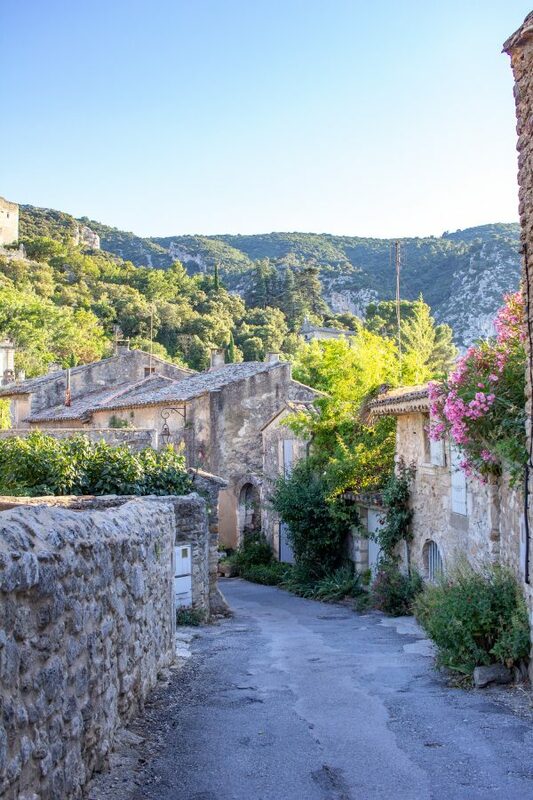 Ménerbes is considered to be one of the most beautiful historic villages in France. 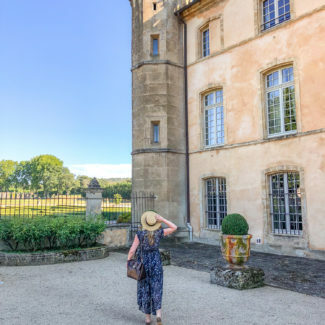 It is directly beside Oppède Le Vieux, and Gordes is just a 20 minute drive north; you could certainly make a day of visiting the three villages. 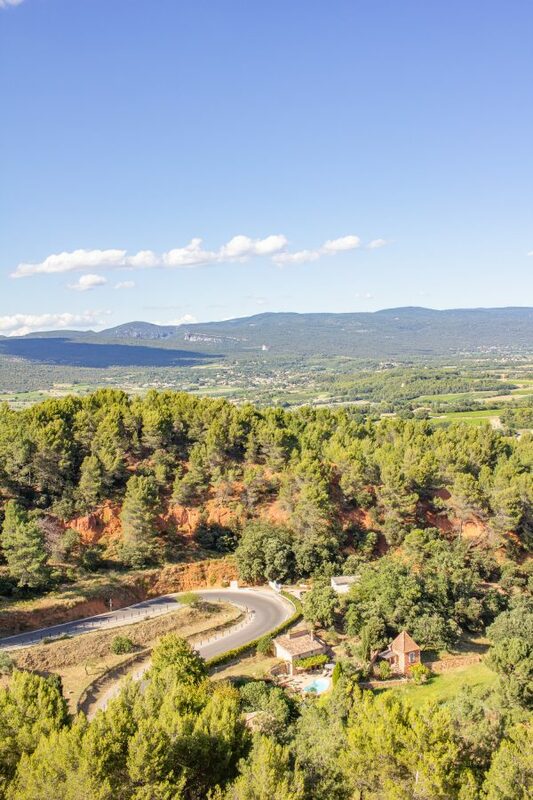 Ménerbes is also very close to Lacoste which is an excellent place to see the Lavender. 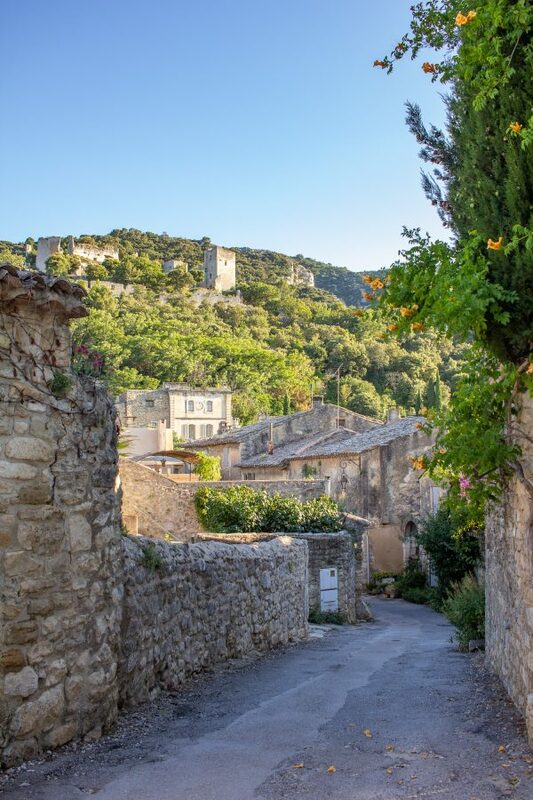 This historic village is beside Oppède, which you will drive through before you find the road to Oppède Le Vieux. 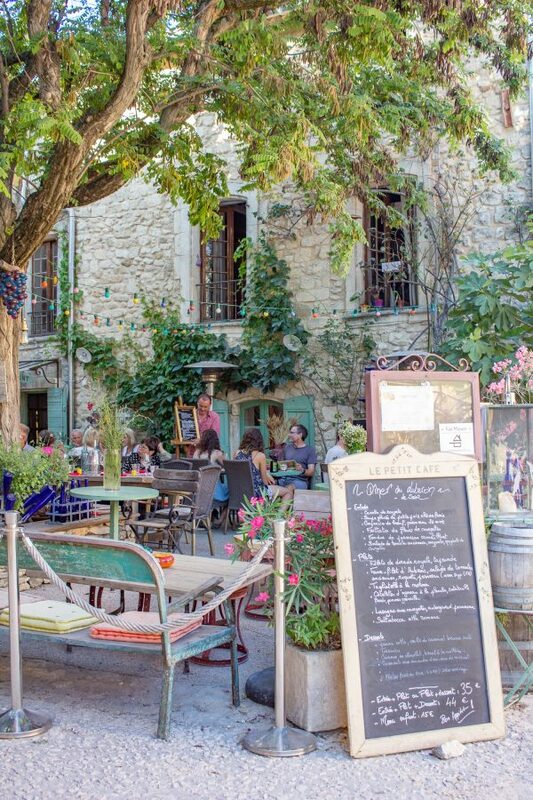 Oppède La Vieux has what must be the cutest outdoor cafe in the world. If we had known we would have made a point to have dinner there. This village is a bit bigger than the others, and it has a large farmer’s market that takes place on Friday mornings. 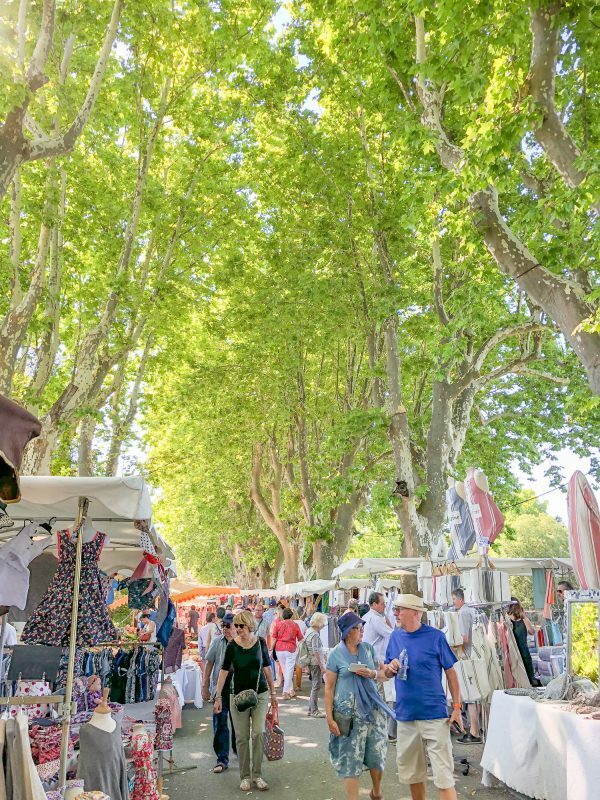 It is over twice the size of the market in Gordes. 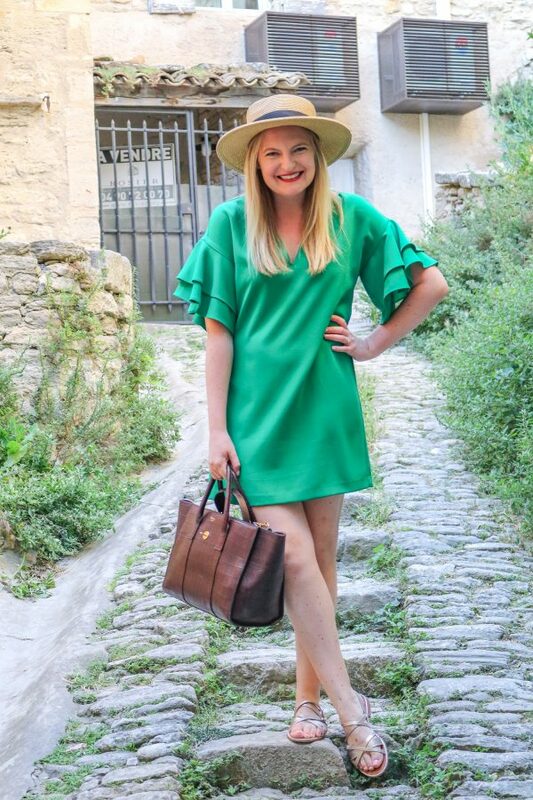 We chose to spend two nights in Lourmarin, and it was the perfect amount of time. 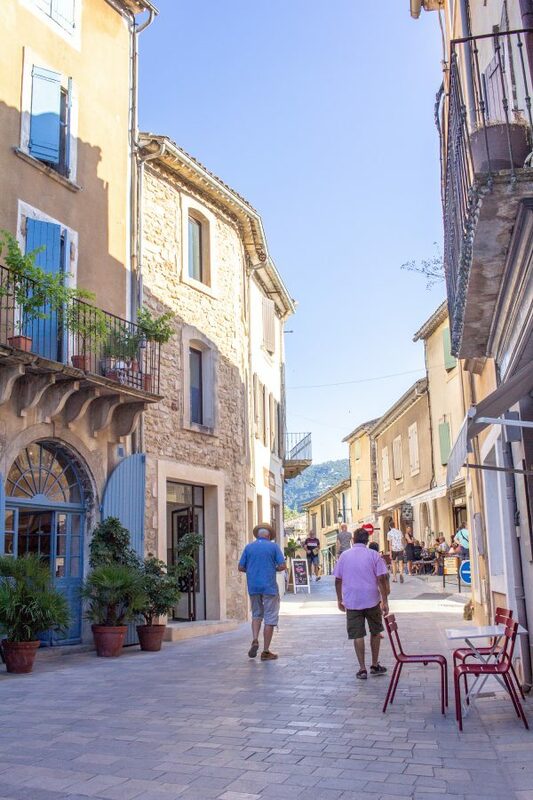 The village has lots of restaurants and cafes and each meal we had in Lourmarin was excellent. 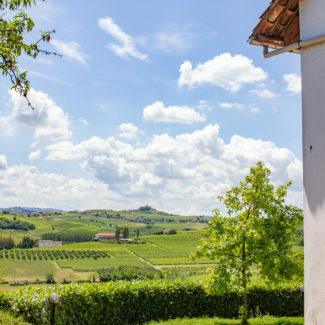 This town is known for its wine. 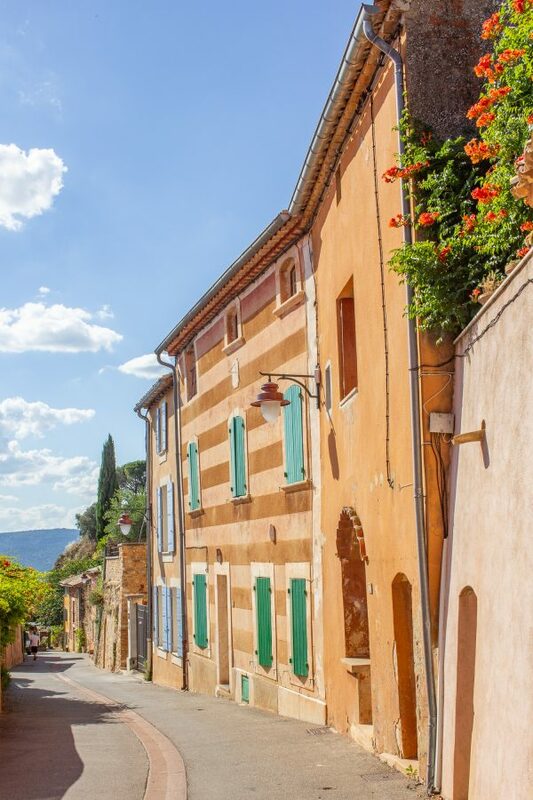 We took a day trip from Lourmarin, and the drive was just about an hour. 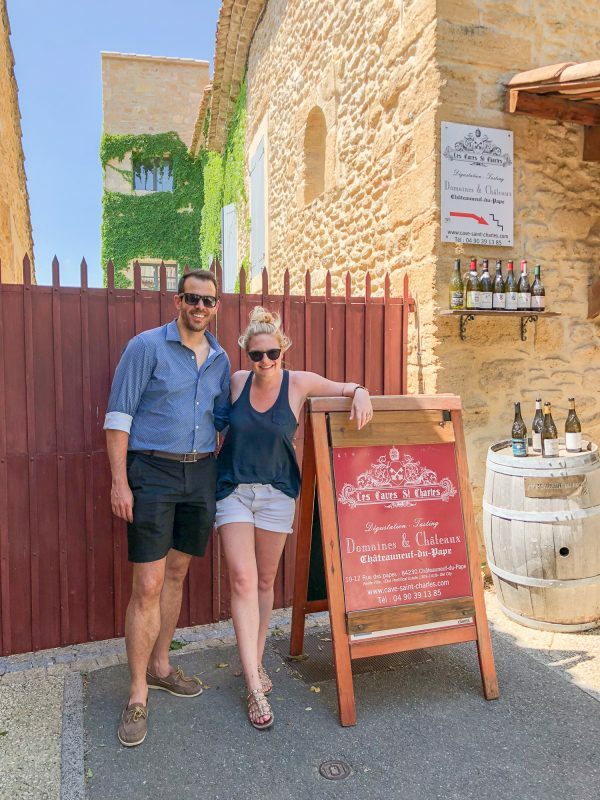 Châteauneuf-du-Pape is famous for the wine of the same name, and we spent our time at a wine tasting in side a cave. 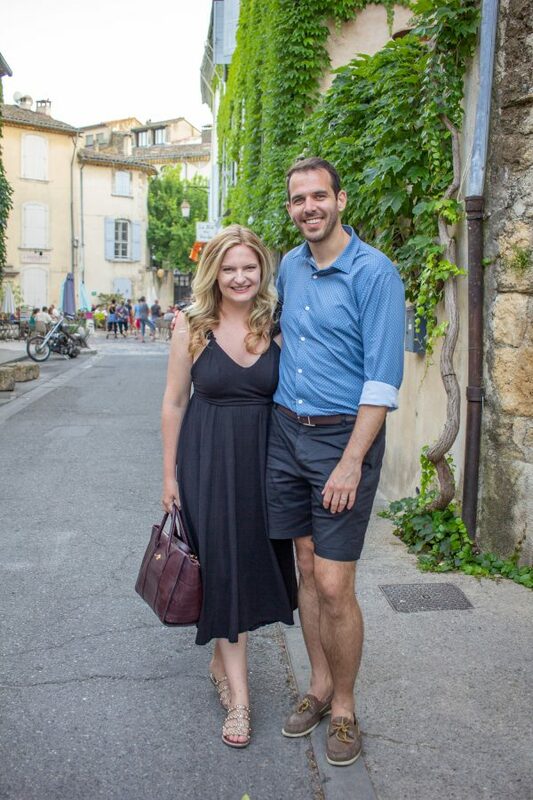 It was quite hot outside, and we were happy to get out of the heat and to sip wine in the cool cave. 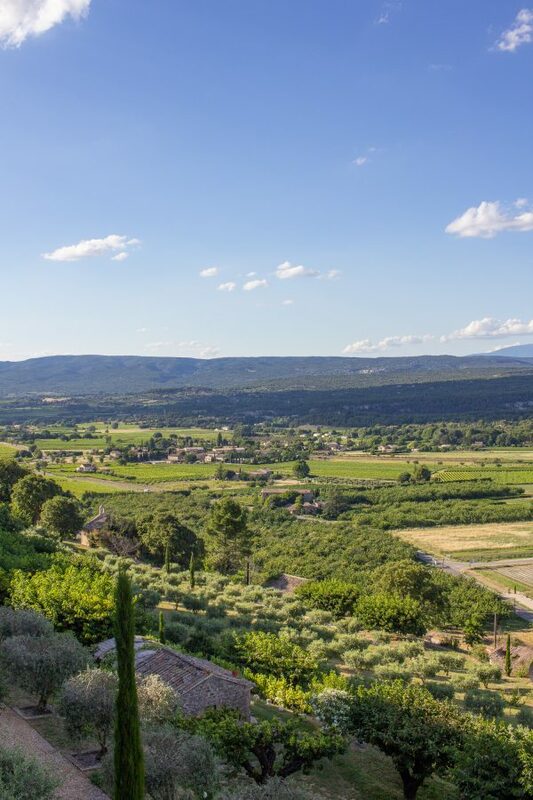 Kelly and I were familiar with Châteauneuf-du-Pape, a wine from the region that is produced in limited qualities and under specific circumstances – for example no irrigation is allowed. During the tasting we got to try white Châteauneuf-du-Pape which makes up on 5% of the wine in the region, and is not allowed to be exported. 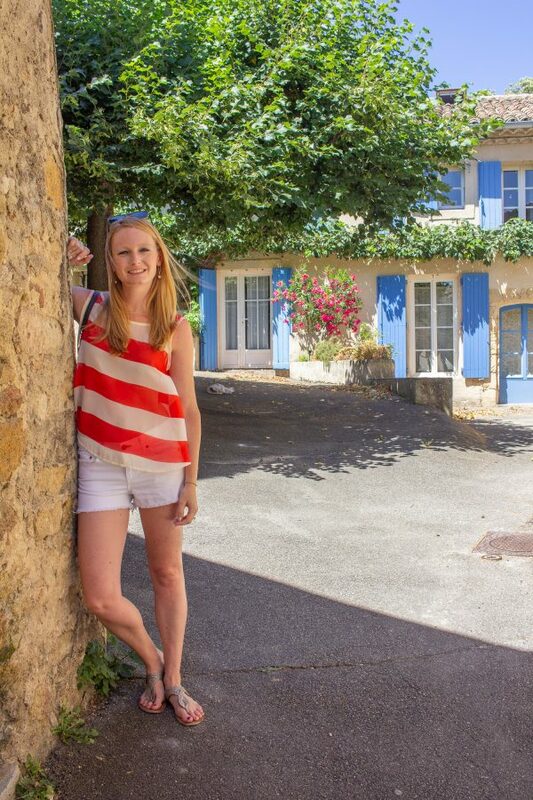 There are a few things you should know about visiting these towns. They are busy during the day, since that is when the bus tours are there. 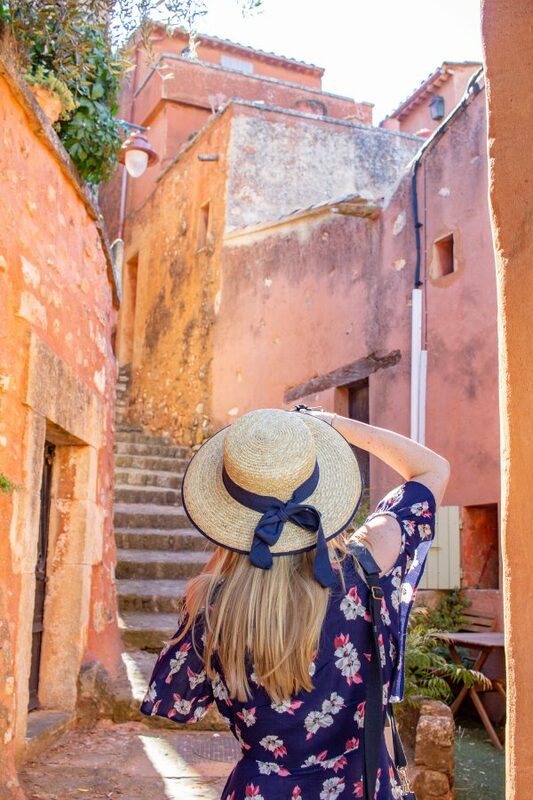 In the evening, after around 5pm, the towns are nearly empty, and the light is perfect for photos, so it is an ideal time to go. 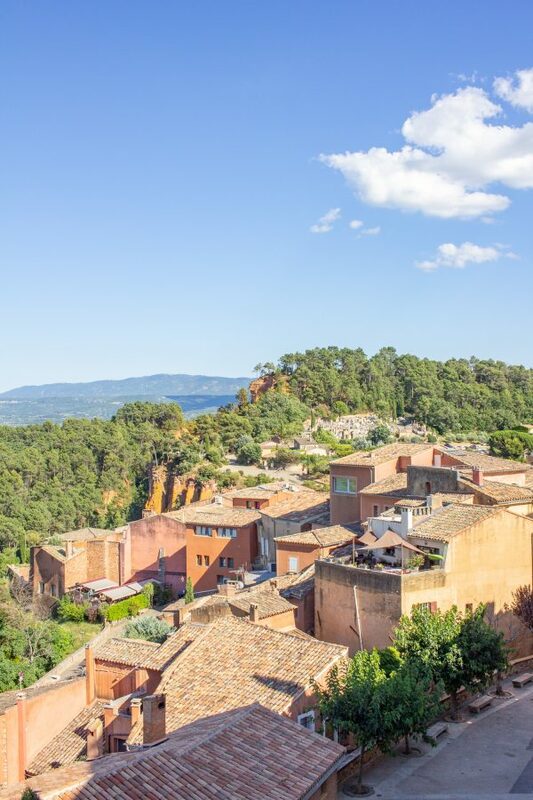 The best way to get to these towns is to rent a car and drive. 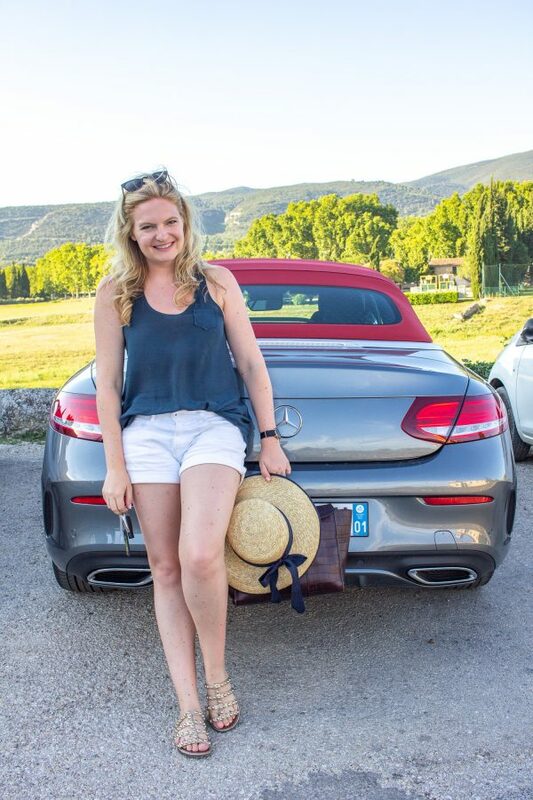 I recommend getting a smaller (not very wide) car because you will find yourself driving down some narrow streets. 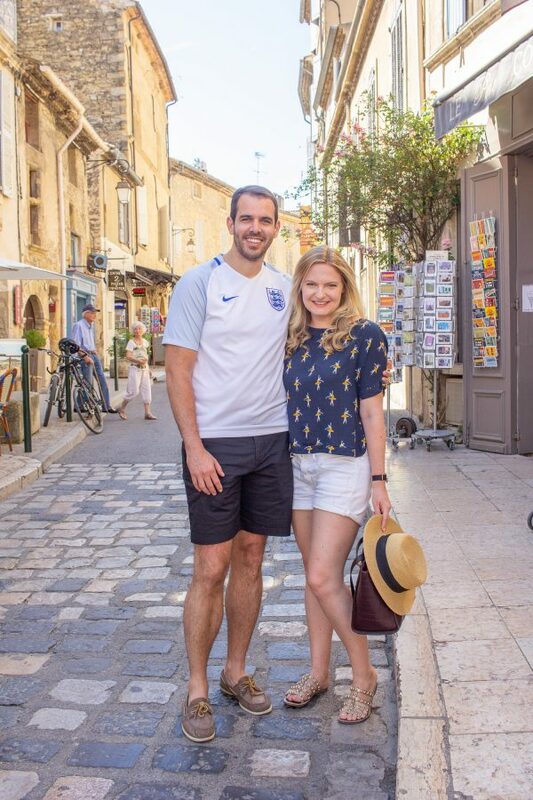 When Charles met up with us at the end of the trip, he splurged and rented a convertible and he loved driving past lavender fields with the top down. The towns all had parking lots in the center of town, and we didn’t have any trouble finding parking, but be aware that the parking spaces were all quite narrow. Many of the photos in this post were taken by my sister Kelly Graham. 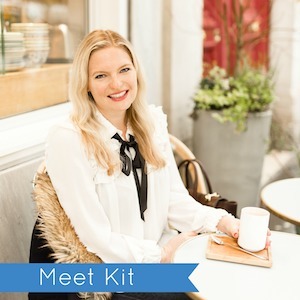 She also did all of the planning and research for this trip.